Starburst is one of the most famous and popular Netnt slots. It’s a timeless classic that remains as relevant and fun today, as it was when it was first released. Starburst is full of great features and not only includes free spins but also welcome free spins. 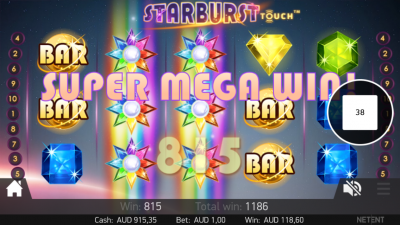 The simplicity of Starburst is part of the genius of this magnificent game and we are sure gamblers will be earning Bitcoin from this slot for years to come. Starburst is one of the most popular slots around and, importantly for those who like bonuses, it is often the slot casinos give free spins on. It’s a game that is light on bonus features, however this doesn’t really matter, as the excitement found during the base game more than makes up for this. 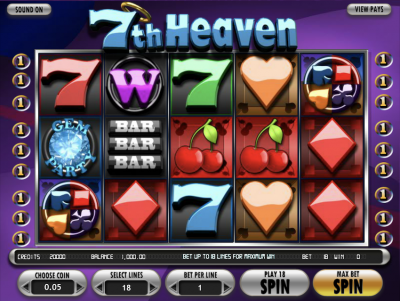 As soon as you start playing this fantastic slot, which was released by NetEnt in 2012, you’ll be amazed by the stunning graphics, as well as by the atmospheric music. Then you’ll spin the reels, and should quickly understand why this game is a favorite with many players at Bitcoin casinos. The gameplay at Starburst really couldn’t be easier. All you need to do before you start playing is choose how many paylines to play – which can be up to ten – and how much to bet per payline. Then you hit the button and wait to see how much you can win! There is an Autoplay feature at this slot, for those who want to get in as many spins as possible. As already mentioned, there are no real bonuses at this slot, however there is loads of excitement during the base game. The first reason for this is the fact that this slot pays both ways, meaning that you can get winning combinations from right to left, as well as left to right. This essentially means that this slot actually has up to 20 paylines, and not the 10 paylines advertised. This slot also has expanding wilds, and they appear on the second, third and fourth reels. They are also the key to this slot’s main feature, which is activated when a wild lands on any of the aforementioned reels. When this happens, you’ll receive a free respin, with the expanded wild held in place. If you manage to land another wild on the reels, you’ll get yet another free respin. As you might imagine, getting expanded wilds on all three reels can lead to some absolutely huge prizes! There can be no doubting that Starburst is a simple slot, however this shouldn’t put you off playing it. The theme is a fun one and the gameplay is really easy, plus every spin could lead to a massive prize – especially if you manage to activate the game’s main bonus feature!